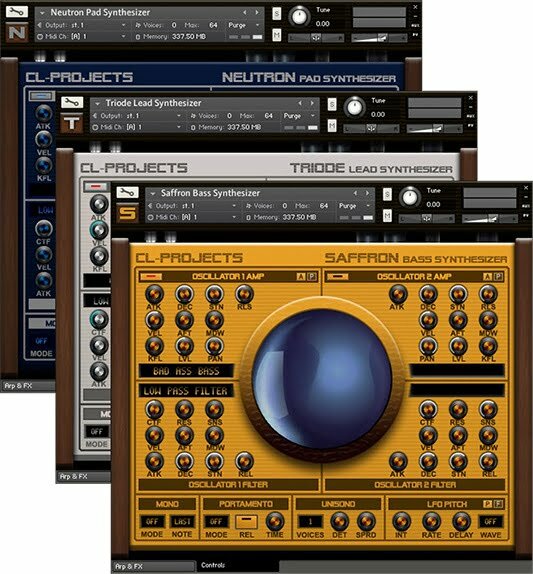 CL-Projects has released the Blue Orb Trilogy, a bundle of Kontakt 5 instruments from the ‘Blue Orb Series’; the Saffron Bass Synthesizer, the Triode Lead Synthesizer and the Neutron Pad Synthesizer. Each synthesizer has a dual oscillator architecture with multiple envelopes, LFO’s and effects. Each synthesizer has 60 different waveforms to choose from, 30 per oscillator. Each OSC has 3 envelope generators. (Amplifier, Filter and Pitch) and 3 different filters, (LP, HP and BP). There are 2 LFO’s, a Pitch LFO and a Filter LFO with a choice between 4 different waveforms (Sine, Saw, Square & Random), or the LFO can be switched off. Both LFO’s can be used at the same time. The sounds can be modulated via Velocity, Aftertouch, Key Follow and the Modulation wheel. And to top it off, they offer a choice between 8 different FX (Digital Reverb, Digital Delay, Chorus, Flanger, Phaser, Compressor, 2-Band EQ, Skreamer distortion). There is even an Arpeggiator with an integrated arp pattern generator. These synthesizers come with a big selection of sounds. A total of 808 patches of which 588 are instruments (nki) and 220 are multis (nkm). 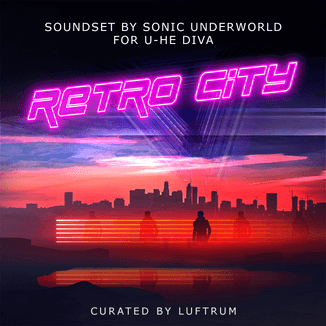 The large number of controls are designed to encourage a user to make their own sounds. 24-bit 44.100 kHz wav samples. 808 patches: 588 instruments (nki) and 220 multis (nkm). 3.16 GB in size unpacked. 24 samples per instrument, 2 oscillators, 12 per oscillator. 8 FX: Digital Reverb, Digital Delay, Chorus, Flanger, Phaser, Compressor, 2-Band EQ and Skreamer distortion. Time and Speed parameters sync to Host tempo. 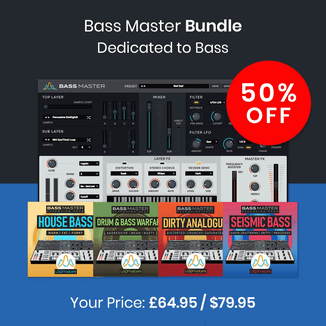 The bundle is available for purchase for £35.99 GBP. Requires Kontakt 5.3, full version. Previous articleZynaptiq previews UNMIX::DRUMS at Musikmesse – Suppress or Boost Drums in Mixed Music, in Real-Time!